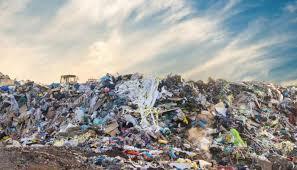 With the enormous amount of plastic and poly packaging material used daily, it’s little wonder we’re drowning in our own waste, especially now that China has stopped taking our garbage to recycle themselves. A Simple & Cost Effective Solution For Any Business. 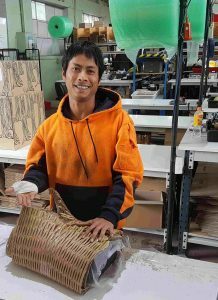 Business’ that use products such as Bubble Wrap, Poly Styrene, Craft Paper etc can save money by recycling their own cardboard waste to use as void fill and protective packaging. A Simple Cardboard Shredder Will Make Endless Packaging From Waste Cardboard. 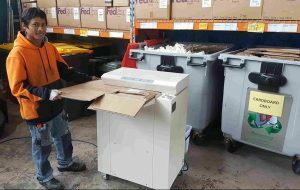 Simply place cardboard in one end of the Cardboard Shredder and get a flexible and protective mesh that can be used in exactly the same way as Bubble Wrap, Styrene Products and Craft Paper. THERE ARE NO CONSUMABLE COSTS! Once a machine is obtained there are no consumable costs, the machines are either a 15amp model with a 325mm cutting throat or a large 425mm 3 phase model which will easily cope with large volumes and will suit any large warehouse. A local Melbourne business ‘Elk the Label’ have just purchased a machine after a short trial and will replace Bubble Wrap packaging with their waste Cardboard. This was a simple decision for their team as there objective was to cut their plastic use and find a solution for some of their waste. CALL 1300 943 274 for more information. Postage Prices Update – October 2nd, 2017 Why You Need a Postage Meter!